I don't normally name a color for such things, but I feel it's important to draw attention and stand united. The color is a darker, more muted blue than the French national blue to symbolize mourning. Since I cannot be "there" I have used your pattern template as a way to lay flowers in memory of the journalists and cartoonists, and to pray for comfort their families. 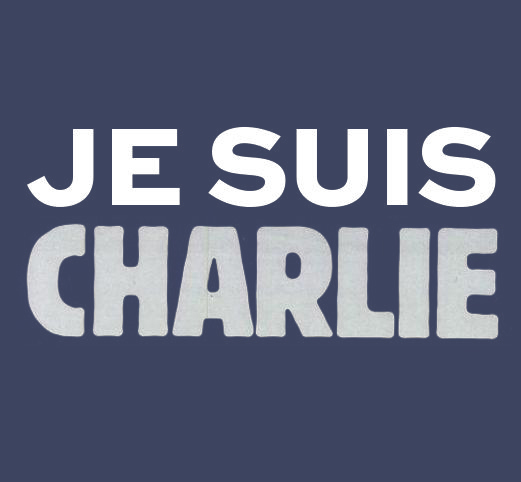 If anyone needs a translation, this means "I am Charlie!" Meaning a cry of defiance against the terrorists, that we all stand against this injustice and support the freedom of expression. Oops, sorry, Valentina, I didn't see you've posted a colour. Let's keep my suggestion for the next day, then?